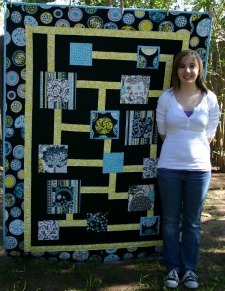 Urban Expressway is a modern quilt pattern designed by Hannah and works great with modern fabrics. 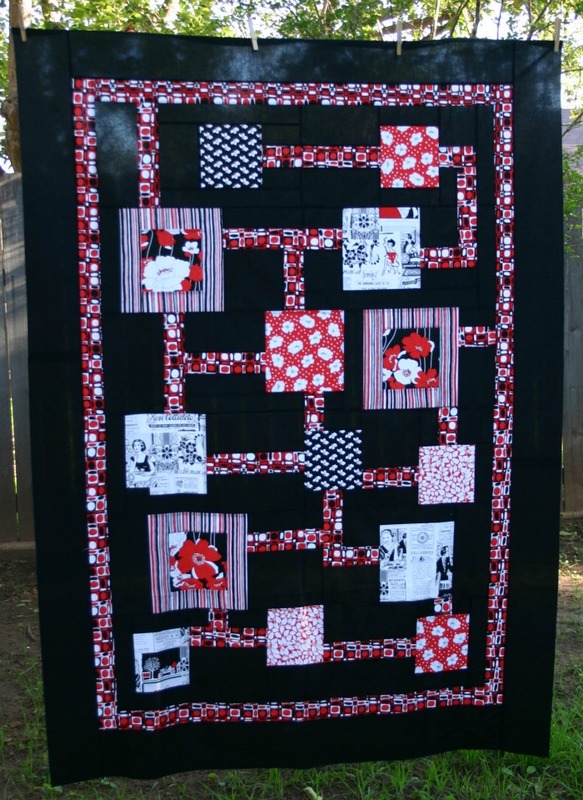 This simple pattern is great for quilters of all skill levels. Finished Size: 54" x 74"
Hannah Ruebel is an aspiring artist. She is currently 15 years old and is a Sophomore in high school. She hopes to work for Pixar Studios one day. She comes from a long line of quilters including her mother, grandmother, and great grandmother. She learned how to sew when she was 6 years old. She also enjoys making purses and she recently made a skirt out of neck ties. She's always been extremely creative. Hannah: I started quilting when I was 6. My Nanna taught me everything I know about sewing. Our first project was a double pinwheel quilt. She also taught me how to make purses and how to applique. I really like doing applique too. I used to stay with my Nanna and Papa Gene for a couple weeks in the summer. Each summer we would work on a different project. Hannah: My favorite pattern is my first pattern, Urban Expressway. Hannah: I really like art. Painting, drawing, anything related to art. I also like to read and listen to music. And hang out with my friends. 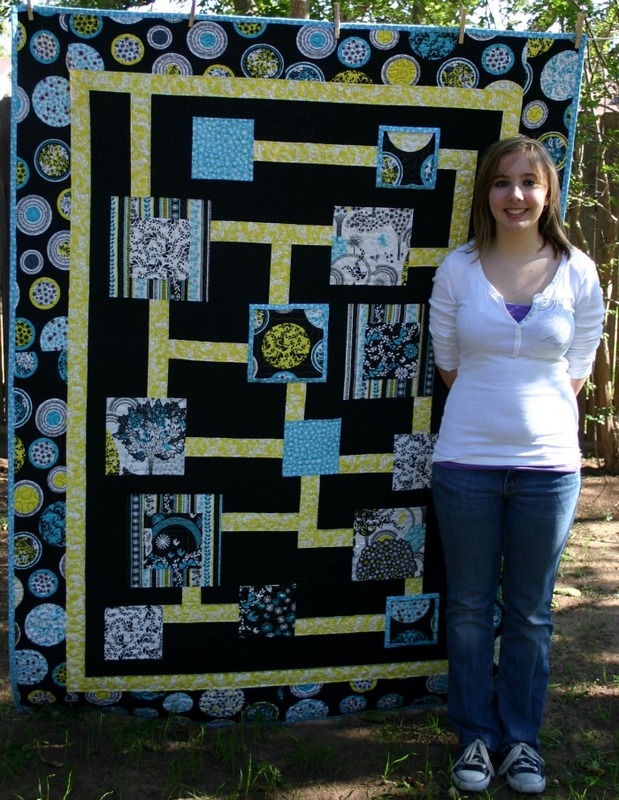 Hannah: My favorite memory is the first quilt I made with Nanna, the double pinwheel. Nanna even made a special label for that quilt. It's my favorite memory. 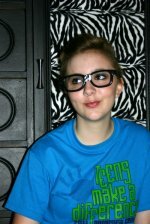 Hannah: I live in Texas with my mom, dad, and little brother. The rest of my extended family lives in Missouri and Florida. My mom and Nanna started an online fabric shop which is how I got started designing patterns. Mom asked me to help her come up with a modern design for some fabric she ordered. That's why I designed Urban Expressway. Mom and Nanna love to design quilts as much as I do. My little brother loves to try to scare me all the time. He thinks he's funny but mostly it's just annoying. I love my family.